Many Norwegians think Americans know much about Norwegian and Scandinavian culture, including the time period we are most proud of: The Viking Age. Although about 12 million Americans are descendants of Scandinavian immigrants, this is not the case. ThorNews has asked one of our readers; author K. A. Lange, if he could write a few words about what Americans really know about the Vikings and Scandinavia. The Northern European tribes who lived along the Baltic Sea, North Sea and around the Scandinavian peninsula made up most of who we now consider Vikings. They had trade routes that stretched far and wide including Northern Africa, Constantinople and the Middle East. They were the first Europeans to make use of crucible steel in sword making. 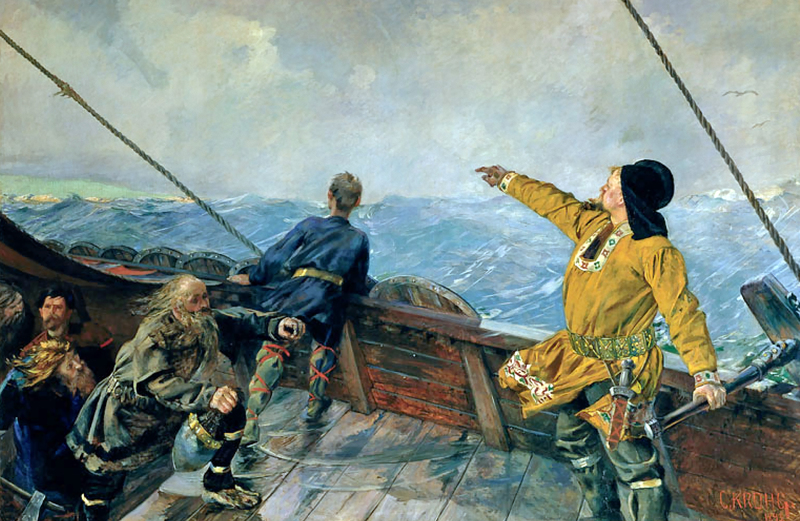 The Norse were the source of a lot of firsts in my opinion, the first to discover and settle Greenland, Iceland and venture into North America. Of course most Americans still believe that Columbus discovered the Americas in 1492. Many traditions that many people in America hold as ‘sacred’ such as Christmas trees are misinformed since it’s actually a Yule tree. The tradition of decorating an evergreen was and is a Nordic tradition that the invading Romans couldn’t stamp out. Another tradition that couldn’t be removed by force was the tradition of Samhain which we now call Halloween. I could reference several more traditions that Christians call their own with Nordic roots but I think the point has been made. Essentially without the Norse or Vikings forcing the need for advancement Europe may have stayed in the dark ages longer than it did. Unfortunately the Catholic church destroyed most all records of the Norse people and what we do know of them are contained in a few Saga’s, poems and the few stone monuments they either didn’t know about or couldn’t destroy. The Norse are a proud people who were forced out of their homeland, slaughtered and yet still found a way to survive. Some made their way to Iceland in the hopes of holding onto their traditions. They found themselves on a volcanic island where they turned their dreams into something more substantial. In time things change and the world moves on but to forget the importance of the Nordic peoples is a travesty in and of itself. So what do most Americans know about the Vikings and Scandinavia? I’d have to say not enough. You can visit K.A. Lange’s blog here. ‹ Norwegian Etymological Dictionary – a 5.5 Pounds Book Success!